I am not a foodie by any stretch of the imagination but I do love to eat. And to me, experiencing the local cuisine is one of the best parts about travel. When I casually mentioned to friends and family that I was going to Maui for a quick long weekend getaway I was flooded with enough restaurant recommendations to easily feed me for 3 weeks. I had to prioritize all of the delicious local delicacies due to my limited time and these were the meals that topped my list. Macadamia Nut Pancakes with Coconut Syrup: 5 Palms Restaurant in Wailea If you have not had coconut syrup on pancakes then you haven’t truly lived. It is without-a-doubt the best topping and is best experienced in Hawaii where everything tastes more tropical and delicious. Fish Tacos: Paia Fish Market in Paia If I could eat fish tacos every day, I think I probably would. 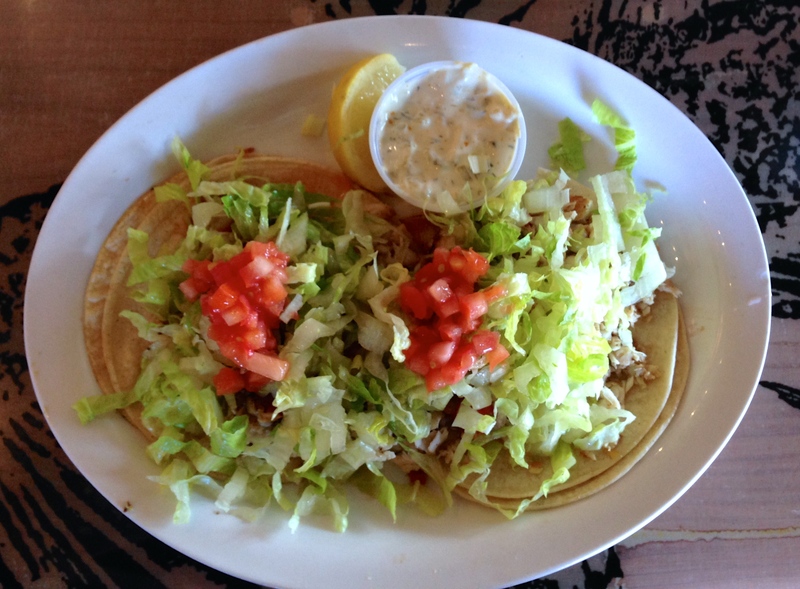 There is an abundance of amazing fish tacos to be found on Maui and these ones made of the tropical Ono fish (meaning “sweet, very good to eat”) definitely hit the spot. Ali’i Plate: Aloha Mixed Plate in Lahaina We didn’t have time to attend a luau during our short 4-day stay in Maui, so instead we opted for a luau on a plate. 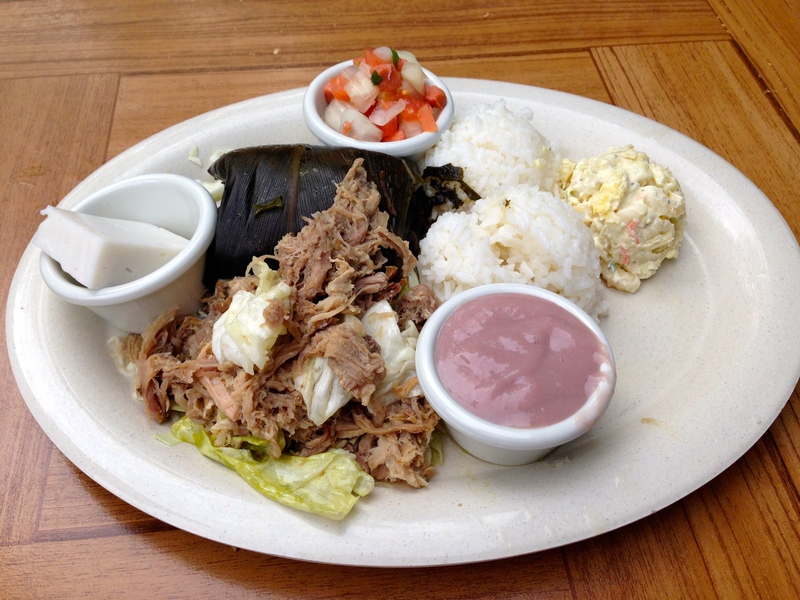 This authentic Hawaiian dish included many famous delicacies such as Kalua Pig, Lau Lau, Lomi Lomi Salmon, Hoaloha Farm’s Poi and Haupia. 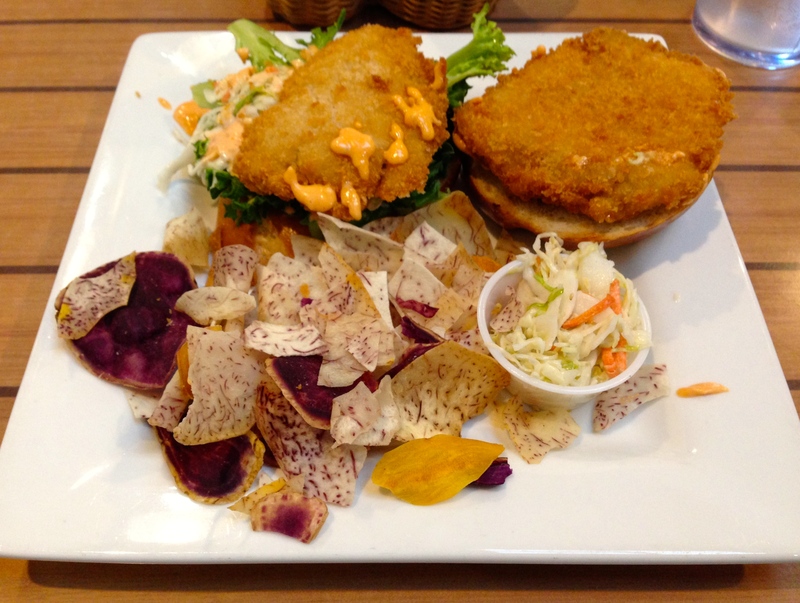 Breaded Mahi Sandwich & Taro Chips: Da Kitchen in Kahului I first tried Mahi Mahi on my first trip to Hawaii back in 2005 on the island of Oahu. It has been one of my absolute favourite fish ever since and I certainly couldn’t leave Maui without enjoying some once again. The taro chips were an excellent addition – I love a good root vegetable! 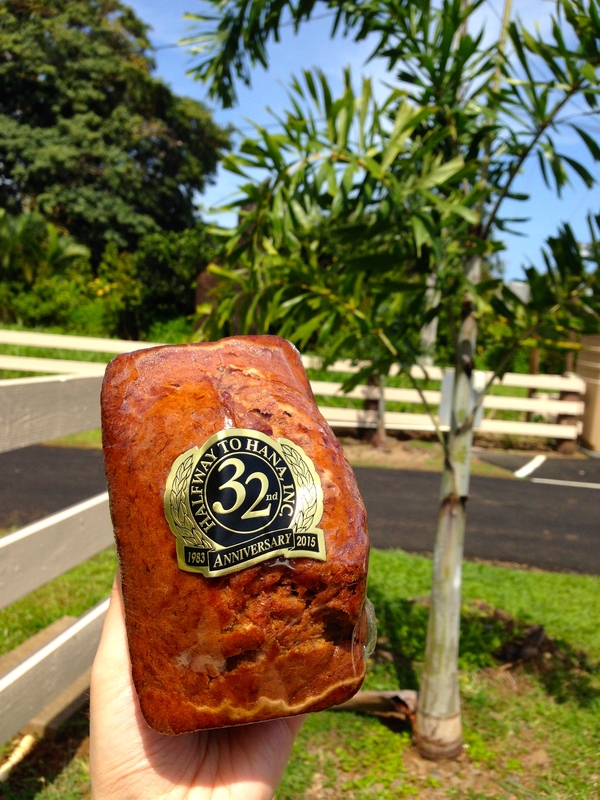 The Original Banana Bread: Halfway to Hana Snack Shop in Haiku We attempted to sample the banana bread at Auntie Sandy’s in Ke’eane on our Road to Hana adventure but alas it was closed for the Easter holiday. Fortunately, the snack shack at “Halfway to Hana” delivered in a big way as this was some of the best banana bread I’ve ever tasted. Apparently it’s “the original” banana bread so with a claim like that it should be pretty delicious. On this trip we also enjoyed Shave Ice (not shaved ice as I incorrectly called it many times), Fresh Maui Pineapple, delicious Kona Coffee, all the Mai Tai’s, and my new favourite gelato flavour – Sandy Beach (think peanut butter, graham crackers, coconut, and salted caramel…mmm). Stay tuned for more Maui updates. We packed a lot of activity into a four day trip so let the highlight reel continue! 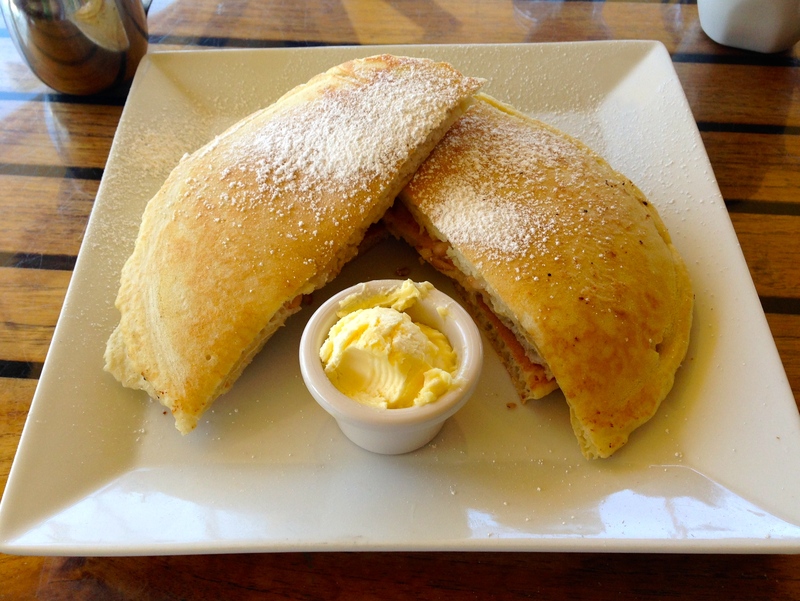 This entry was posted in Hawaii, North America, USA and tagged Banana Bread, Eating, Fish Tacos, Food, Hawaii, Luau, Macadamia Nut Pancakes, Mahi, Maui, Travel. Bookmark the permalink. Oh my god I’m drooling all over myself! I know right?! I need to step up my surfing game if I’m going to combat all that delicious goodness. Okay, I’m basically spamming your blog since I’m missing Maui right now. Umm yum! I hope you tried Ululanis shaved ice too! :) Also Star Noodle was my favorite!! I will definitely have to add Star Noodle to my list for next time! So many great places to try in Maui!